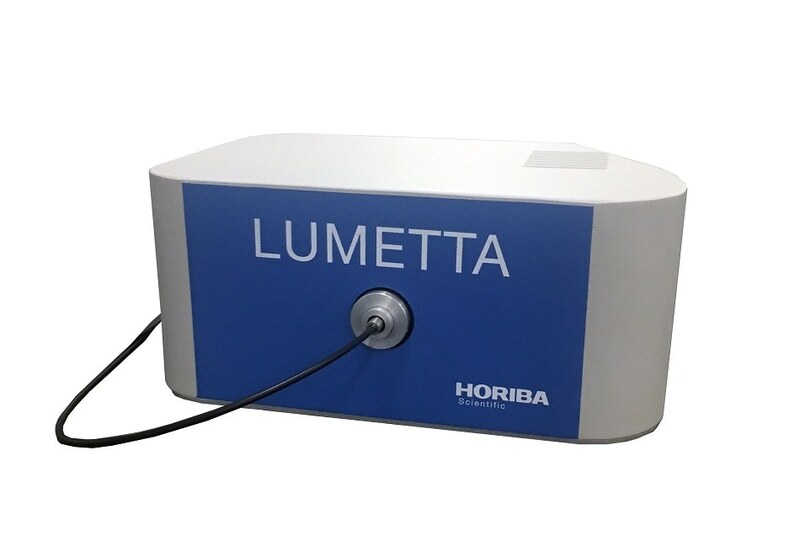 Lumetta is an F/2 spectrograph with a large area sensor enabling optimal light gathering and boasting the highest optical throughput in the compact spectrograph class. It is designed to optimally gather light from most fibers and high angle scattering phenomena. Being an imaging spectrograph it also enables such advanced techniques as multitrack spectroscopy and fast hyperspectral imaging. With multitrack spectroscopy, multiple independent spectroscopy channels can be measured with Lumetta, either vastly improving sample measurement throughput for similar measurements on different samples or simultaneous measurement of different but complementary spectra such as photoluminescence and absorbance from the same sample. With its scientific grade I CCD deep cooled to -50 oC together with extremely low noise 16 bit electronics, Lumetta also offers the highest sensitivity in its class for low light applications. At 1200:1 the Signal-to-noise of the Lumetta is well above its peers and its deep cooling allows signal integration for hours – a feature that is not readily available on other instruments in the compact class. Lumetta also offers a flexible signal input interface, accommodating free-space as well as FC, SMA and ferrule fiber interfaces. Furthermore, spectral resolution can be controlled from a selection of interchangeable slits. Other highlights include the lowest stray light in its class (<0.1%); the smallest CCD non linearity for computational accuracy (<0.4%), top of the range on speed – up to 278 spectra/second, and all at an attractive price.